CDT introduces new Super 3.2 2 Ohm Sub-bass 3-way component system. No need for a big difficult to install subwoofer any more. 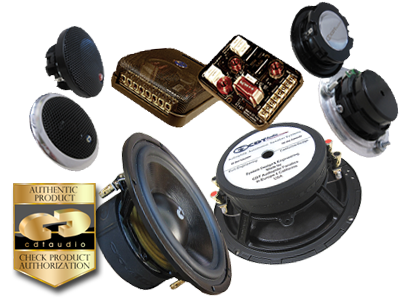 This system will perform deep bass down to 20Hz in optimum ported enclosure, installed in a vehicle door environment you will get deeper bass than any system you have ever heard from a small driver installation. This system woofer is designed to deliver deep bass response yet engineered to meet a mid and tweeter to perfect blend as a sweet audiophile 3-way component system. The Super 3.2 enhances deep bass response without the high cost, the pleasure without the pain. Can be wired 2X4 Ohm 1X2 Ohm or 1X8 Ohm. Makes this system suitable for almost any installation.